Nobody wants to swim in grimy pool water, so an effective swimming pool filter is essential in keeping your pool’s water clean and ready for the summer. Filters make sure your pool is void of any bacteria, viruses, and dirt that can enter the water and they also keep the whole family safe while they have fun. 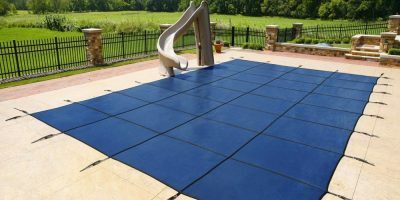 Whether you have an above-ground or in-ground pool, there are plenty of filter options to choose from and you should consider one that works best for your pool’s needs. 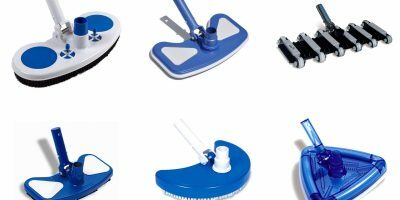 When it comes to cleanliness, you may also be interested in: Best Automatic Pool Cleaners and Finding the Best Swimming Pool Vacuum Head + Reviews. If you don’t have a lot of time in the day to maintain your pool, sand filters will be your best friend. These filters can handle general cleaning and will pick up any debris down to 20 microns. BOTTOM LINE Filter for small and medium sized pools and easy to use. Durable filter for all pool types. Easy to use with a good timer. This sand filter is great for small to medium above-ground pools and has 6 different speed settings. It’s fairly easy to install and operates even with low pressure for more efficiency and less energy usage. Recommended for pools up to 18,000 gallons, this sand filter has a sand capacity of 175 lbs, and because of this large capacity, the lifecycle of the sand is extended which keeps you from constantly backwashing the filter. Because this is a top-mounted system, you have to remove the pipes and plumbing to get to the sand storage area. With a maximum suction of 34.5 feet, a 1 HP self-priming pump of 4500 GPH and a 115V 60hz 8.8 amp, this sand filter can last you years due to its weather-proof and heat-resistant materials. Many love how easy the filter was to set up and have much favor towards its quiet operation. Although, when the time comes to backwash it, there were some users that preferred having a sight glass to see when the water turns clear, and some also had some issues with the hoses leaking. Made from durable corrosion proof materials for all-weather performance, this in-ground sand filter provides stress-free setup and high-performance filtration. 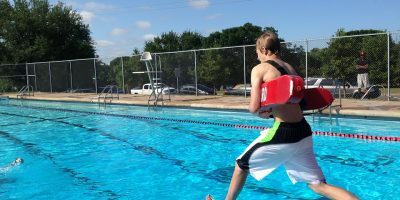 It can be used for any pool size and shape, featuring a patented 7-position multiport valve with a user-friendly lever, sight glass, and pressure gauge. The large pressure sand/water drain allows for fast winterizing and service and the advanced full-flow technology saves energy so you run your filter less. A lot of users like how low maintenance the Hayward S244T sand filter is and how simple it is to backwash it. It works excellently at refining pool water, although some have experienced some leakage near the plastic base which is also prone to cracking. The Intex Krystal Clear sand filter thoroughly captures debris and the 6-function control valve lets the user filter, backwash and rinse, recirculate, drain, and close the filter system. Thanks to the 24-hour timer, the filter will work for you without any hassle as it maintains your pool’s water and keeps it clean. The filter pump has a flow rate of 2,100 gallons per hour which is ideal for above-ground pools as large as 16′ to 24′. There isn’t much maintenance involved except replacing the sand every few years or so. Plenty of users have noticed how little they had to deal with the filter, how easy the pressure gauge is to read, and how short installation time is. There were some complaints about the noise the filter makes while it’s operating, but it’s moderate and isn’t too big of a deal. The timer also doesn’t let you set the filter to come on at a certain time and if it’s turned off, it will forget the previous time setting. These filters have a simple design and save space with their slim shape. Being able to pick up dirt as small as 5 microns, cartridge filters are a popular choice for residential pools. BOTTOM LINE Silent filter for above-ground pools. Highly efficient filter with 420 square-foot filter capacity. Very durable filter with quiet operation. This 150-square foot large-capacity filter is glass reinforced and non-corrosive, giving you years of clean pool water and easygoing operation. It’s specially designed for the hassles of above-ground filtration and the Easy-Lok ring design gives quick access to the filter element with just one turn. The filter is user-friendly and features a unique safety catch that prevents the lid from over-tightening while securing the filter to keep it at its highest performance. The Hayward Xstream cartridge filter can handle above-ground pools up to 57,00 gallons, and many users like how quiet the filter runs. It’s also easy to clean and store, and the cartridge lasts quite a while before having to backwash it. Although, there isn’t a timer on the filter and some mentioned how they would’ve liked a lower speed setting to save some energy. Because of the large cartridge, it can also use a lot of water when it comes to backwashing it. This residential cartridge pool filter is effective at capturing large amounts of dirt and small particles while maintaining its high performance. It’s made with 420 square-foot filter capacity which helps reduce the amount of times you need to clean the cartridge. Included are the high flow air relief and manual air relief valve for safety and efficiency, injection molded tank and black bulkhead unions, a balanced hydraulic flow, and tension control clamp. A lot of users found themselves cleaning their cartridge once every few months or so and noticed that the filter is light and easy to install. Some were wary of the bolt that sticks out of the steel band that holds the top and bottom part together since it’s a bit of a snag hazard. Additionally, a few noted that it does take at least a couple of days to clear up the water. This cartridge filter includes a bundle of 4 reusable cartridge elements that provide 425 square feet of durable dirt-trapping capacity with extended filter cycles. To last against rough applications and conditions of in-ground pools, the filter tank is made of heavy-duty glass reinforced co-polymer along with a tamper proof one-piece clamp that secures the tank’s top and bottom together. The full-size 1 ½ inch drain allows for fast cleanout and flushing while the Noryl bulkhead provides strength and heat resistance. Many users have mentioned how long the cartridges last, for some held up for at least 3 to 4 seasons which also means long periods between backwashing. Installation was reported to be simple and the filter runs quietly, although some had issues with the air relief valve not closing completely and noticed that the top surface can age when left in the sun. These are the most advanced and efficient filters that can trap small particles down to 3-5 microns. Those looking for the clearest pool water possible can benefit a lot from DE filters. BOTTOM LINE Fast and efficient filter at a great price. 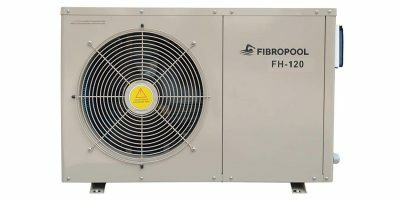 High power filter for in-ground pools and spas. Low-maintenance filter which is surprisingly easy to backwash. If you want a filter that quickly gets the job done for your above-ground pool, this DE pool filter efficiently removes algae and particles as small as 2 microns. Its Flex-Tube design allows for longer cycles between cleaning since the same DE powder is recycled and used several times. Since the filter system uses less resistance, there’s less water wasted and more energy saved. The filter’s unique bump mechanism lets the flex tubes clean themselves of dirt so there’s no backwashing required. Plenty like how effortless it is to load and clean the filter with its handy bump cleaning. It’s simple to disassemble for service and is especially great for round pools, but some users didn’t like where the pressure gauge was located since it’s a bit unreachable and awkwardly placed, and they also found the instructions for setting it up a bit confusing. Ideal for in-ground pools and spas of any type and size, this high-quality DE filter is durable against rough conditions and accepts all types of DE powder. The Hayward ProGrid provides superior filter performance for incredible water quality with an efficient 2-inch full flow and large cleaning capacity for less stressful maintenance. Its plumbing options give the user customized control and the filter gives quick access to its internal parts without affecting the piping or connections. This is a pretty well praised filter considering its quick cleaning time and easy pressure setting. Many users love the fact that you don’t have to backwash it so often, but some were upset that the filter doesn’t come with a valve, resulting in them having to buy one separately. For better cleaning ability in in-ground pools, this filter has curved vertical grids which provide maximum filter surface area. 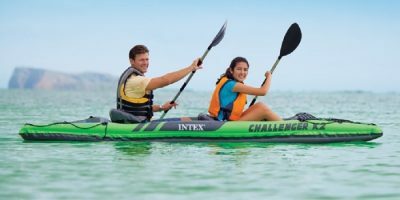 The tank is made of chemical-resistant fiberglass-reinforced polypropylene for a long lifespan, and its unique internal design allows for high-performance filtration and backwashing efficiency. For easy cleanout, the filter has a conveniently located 1 ½ inch drain and also has a 120-GPM flow rate. Users have found the installation to be simple and like the increased capacity and flow rate since it means less backwashes. Although, some had to lift the filter up by 1 inch with gravel soil or some sort of base so the connections would fit straight, not to mention the filter is a bit on the heavy side. Here you can read more about the 3 main types of pool filters: sand filters, cartridge filters, and DE filters (or diatomaceous earth). Each of these filters use a pool pump to push water through them inside the tank. Dirt, hair, oils, and other microns are trapped by the filter media. Sand filters are ideal if you’re on a tight budget and don’t want to spend so much time maintaining your pool. These filters are essentially large tanks filled with pool filter sand (like #20 silica sand, zeolite, or filter glass) that can remove particles as low as 20 microns. They’re larger than cartridge and DE filters which is something to keep in mind if you don’t like filters that take up space. They’re also the least effective since both cartridge and DE filters can handle smaller particles as low as 5 microns. The way a sand filter works is the water from your pool fills the tank 2/3 of the way and passes through while the sand traps debris. This dirt is then left in the tank until the entire filter system is backwashed and the filtered water returns back into the pool. Some signs that tell you the sand filter is performing at its best is if the water pressure is strong, the pump basket housing is constantly full of water, the gauge pressure is normal, and the pool water is clear. You usually have to replace the sand inside the tank every 3 to 5 years. Cartridge filters are the most common type for residential pools and the most popular because they’re painless to use due to their simple design. Most cartridge filter models are slim and tall which is something to consider if you want to save space. Most can filter out small particles down to 10 microns, although diatomaceous earth filters can handle even smaller particles. There are only two parts to the tank which are the lid and the bottom, and there are typically three to four filters that the tank houses. These are usually made of paper or bonded polyester which is tightly weaved to trap particles and debris. Cartridge filters have the most filter surface area compared to DE and sand filters, along with having less resistance and efficient performance even at slow speeds. When it comes to cleaning a cartridge filter, it takes a bit more effort than a DE filter but less than a sand filter, and there’s no backwashing (flushing out the filter by reversing the water flow out the waste port on a multiport valve). Like replacing the sand in sand filters, you should replace the cartridge in cartridge filters every couple of years. 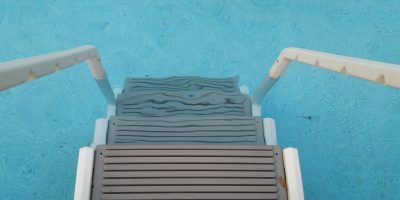 Keep in mind that cartridge filters aren’t recommended if you have a large pool since it would take several of them to keep the water clean, which can serve to be a real pain to manage. Diatomaceous earth filters are technologically the most advanced type of pool filter in the market. It works similar to a sand filter, but with a different filter media. There are grids in the DE filter that are coated with extremely fine diatomaceous earth powder made of fossilized plankton, and water passes into the bottom of the filter and is pushed up through these grids. DE filters are the most efficient type of pool filter and they can trap the finest particles as small as 3 microns. While they’re the most efficient, DE filters are also the most expensive and require a lot more maintenance than sand and cartridge filters. Diatomaceous earth is a hazardous material which must be disposed of carefully in a regulated manner, and you need at least 500 gallons of water to backwash the filter and drain the dirty water. Although the filter needs recharging with DE powder, the powder itself isn’t too expensive. Depending on the size of your pool, how much time you’re willing to give into maintaining it, how often you use the pool, and what kind of debris regularly enters the water, you should choose a filter that best fits your pool’s needs. If you want a low maintenance filter, a cartridge filter would be the best choice since they are easy to clean and monitor and they’re commonly used in residential pools. They require less water pressure to work compared to a DE or sand filter and are more energy-efficient, but DE filters can handle even smaller particles. If you have a large pool, sand filters are ideal and can last a long time and they filter out most particles up to 20 microns small. They need more maintenance than cartridge filters though for sand filters need washing at least once a week. Backwashing the sand can result in 500 gallons of water used. If you want your pool’s water to be at its cleanest, DE filters are the ones for the job. While they’re the most expensive type of filter, they’re extremely effective at catching the smallest particles down to 3 microns, keeping the water clear and safe. Sand Filter → Before backwashing a sand filter, turn off the power to the pump and reverse the valve, then you can power the pump back on. The water will now flow backwards and the dirty water is being pushed out another port on the valve. The port should have a backwash hose attached and the water can be flushed to the lawn or drain. If your pool water is heavily chlorinated, make sure the dirty water stays away from kids, animals, gardens, and flowers. 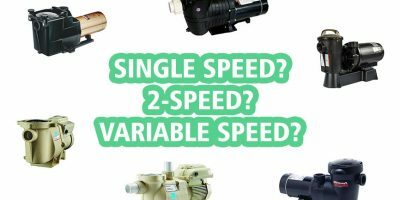 Which is the Best Pool Filter? It’s the easiest type to deal with. It contains only a few parts. To operate it, you simply move a valve handle and the sand you buy for the filter is relatively inexpensive to replace, but takes a bit of effort to change it. On the other hand, sand filters are a bit weak in terms of filtering power since they can only trap small particles down to 20 microns whereas DE and cartridge filters can go as low as 3 to 5 microns, but they’re still great for general cleaning. The second best would probably be a cartridge filter. They can filter water better than sand filters because they’re able to trap finer particles, but they need a bit more maintenance. Unlike DE and sand filters, you don’t need to backwash cartridge filters. DE filters come out on top when it comes to cleaning water, but they require a lot more maintenance and are more frustrating to manage than sand and cartridge filters. You also have to buy, store, and handle the DE powder, making sure to dispose of old DE powder by strict regulations, not to mention some townships and counties restrict backwashing DE filters. Now that you’re aware of what types of pool filters there are and what options you have, it should be easier to choose which filter would work best for your pool’s needs. If you prefer a low maintenance filter, cartridge filters like the Pentair 160301 Clean & Clear Cartridge Pool Filter would be the most ideal. If you’re on a budget and own a large pool, sand filters like the Hayward S244T ProSeries In-Ground Sand Pool Filter are an optimal choice. Lastly, if you’re looking for the most efficient and advanced pool filter, DE filters like the Hayward DE4820 Pro-Grid Vertical DE Pool Filter can handle smaller particles than both sand and cartridge types.